I’m starting to become a little bit of a baby shower pro. With friends having babies left and right, and being that I have a baby of my own, I’ve started to figure out what works as good gifts for expecting moms, and what doesn’t. Here are a few of my favorite picks for baby shower gifts at the moment. I tried to stick with gender neutral options, as those are always my favorite because the mom can use them with future babies that are other genders as well. BabyMel Cara Diaper Bag – Every mama to be needs a good diaper bag. Might as well have one that is both fashionable and stylish! Honest Bath Time Gift Set – Trust me, you can never have enough baby shampoo, body wash, lotion and etc. The Honest Company is one of our favorite brands because of their commitment to using natural and organic ingredients in their products, which all work and smell amazing. JellyCat Stuffed Animal – My daughter loves stuffed animals and I love the sentiment behind the ones that were given to her as baby presents. JellyCat makes the most adorable and high quality stuffed animals that she will cherish forever. Mary Meyer Play Mat – Play mats are overlooked as baby presents. These are great for babies for tummy time as newborns and for lounging on when they get older. Chewbeads – Babies are teething for what seems like forever. Chewbeads that are cute for mama to wear make a great gift that both mom and baby will love! WubbaNub – I say the more Wubbanub’s the better! Our baby loved hers from birth, and still has to have it with her everywhere today. Hearing her say “wubwub” is one of the cutest things. Nordstrom Baby Hooded Animal Towel – Another thing you can never have enough of us a new mom – hooded towels. Make sure you give the mom to be in your life the cutest one possible with these animal towels! 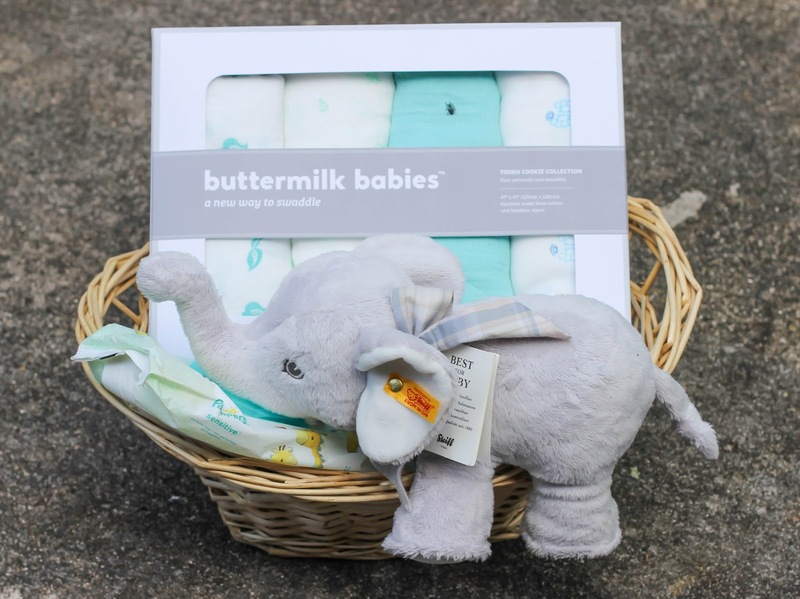 Buttermilk Babies Swaddles – Okay final thing I will say you can’t have enough of about, but seriously… swaddle blankets. And these are the best swaddle blankets you will find. They are larger than other swaddle blankets which is necessary because babies grow, quickly, and the softest muslin cloth that is also breathable. I’d love to gift one of you with a set of Buttermilk Babies swaddles to keep for yourself or give to a friend at the next baby shower you have! Winner will win a set (4 pack) of Tough Cookie swaddles in their choice of cool (blue) or warm (pink). Enter using the form below – US only 18+ to win! These are all great suggestions but I especially love the hooded towel…babies always look so cute in them! I love the signature series in primary! My favorite print is Signature Series – Clean but they are all so cute! These are all great gift ideas!! Will enter for sure! Very cute ideas! Give me something to think about! Thank you for sharing!! My "baby" is almost two, but I STILL want that diaper bag! Cool is the signature print I love the most! Yes! Love every single item you listed. 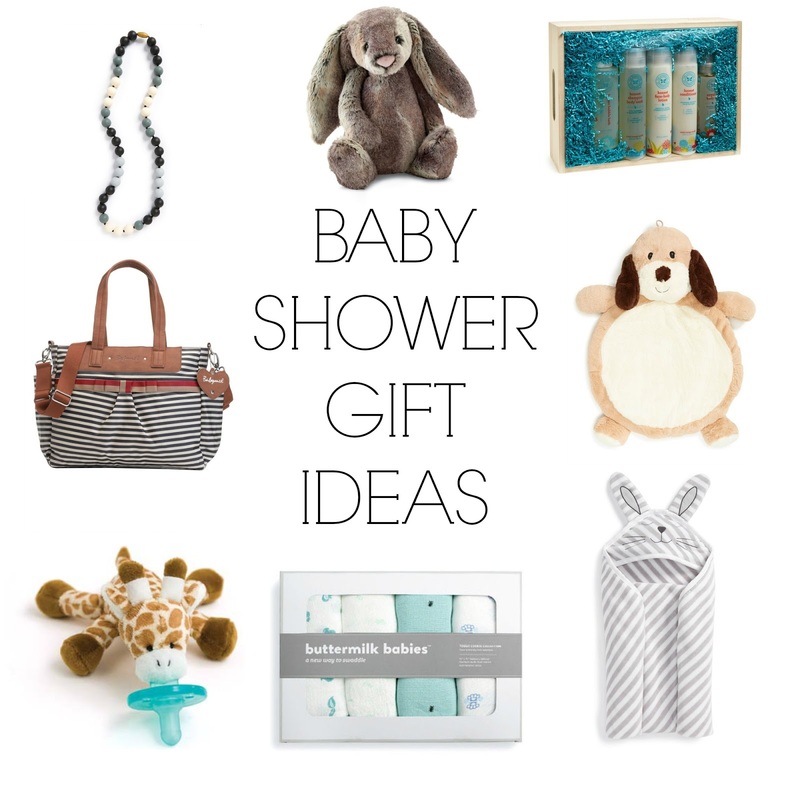 These are great ideas for shower gifts! Totally agree with everything up there! Great ideas! Especially since yikes 12 if my friends are preggo! I love these ideas! I'm expecting my first, so I'm collecting registry ideas too. 🙂 One time I went to a baby shower where the mom received a luxurious robe and some other goodies for the hospitable stay. I thought it was so sweet and thoughtful to take care of mom, who sometimes gets a little overlooked! I love the Clean in the signature series. Great gift ideas! My youngest has the giraffe paci. She loves just playing with it. Wahoo, my baby girl (coming soon) needs some swaddles! I love the Classic Primary print! I love the primary set with Zoonicorns, Gemstones, Knuckle Sandwich and Graffiti. wubba nubs are our bff's here! Great list! That bunny is so cute!! I like the Tough Cookie – Warm collection. I LOVE the honest company products – and they smell amazing! Great ideas! Tough cookie in cool. Although I love them all! I really like the tough cookie in warm. Jellycat animals are one of my favorite gifts to give at showers. With regard to the swaddles, I love the look of Tough Cookie in Warm! signature series clean is so cute!!! My favorite ones are the Signature Series – Primary. I the Signature Series Primary. Oh I would sooooo love to win these for baby boy! I would pick Signature Series- Primary! Actually! I want the exact set that you have, haha! I didn't see those on the site?! I like the cool set. I like the Tough Cookie Warm. My favorite is the Tough Cookie Collection Clean.